A simple, quick and easy fat quarter friendly quilt pattern. Pattern includes instructions for baby to king size quilt. You will choose your own fabric colors. 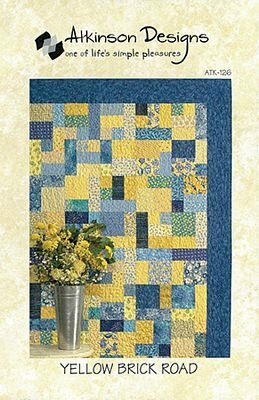 You won't believe how quickly you can piece a quilt top together with this pattern! Easy for beginners, fun for everyone! $35 class fee plus purchase of pattern and fabric.